Oh well, our experiment with digital signage tracking is now over. 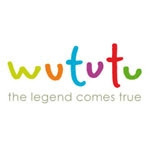 Sadly, Wututu appear to have gone into administration... scuppered by the recession! We have early data so we'll be analyzing the data and looking at how to move forward with another company if the need for this data is deemed important enough! Goodbye to a great start up company!